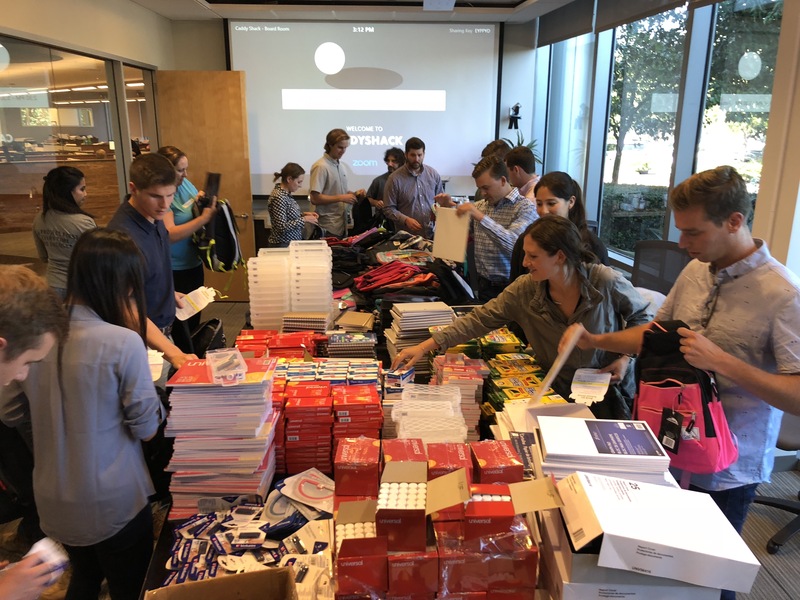 Every year around Back-to-School time, our Team for Tomorrow volunteers partner with Family Giving Tree to collect school supplies and backpacks for local children in need. 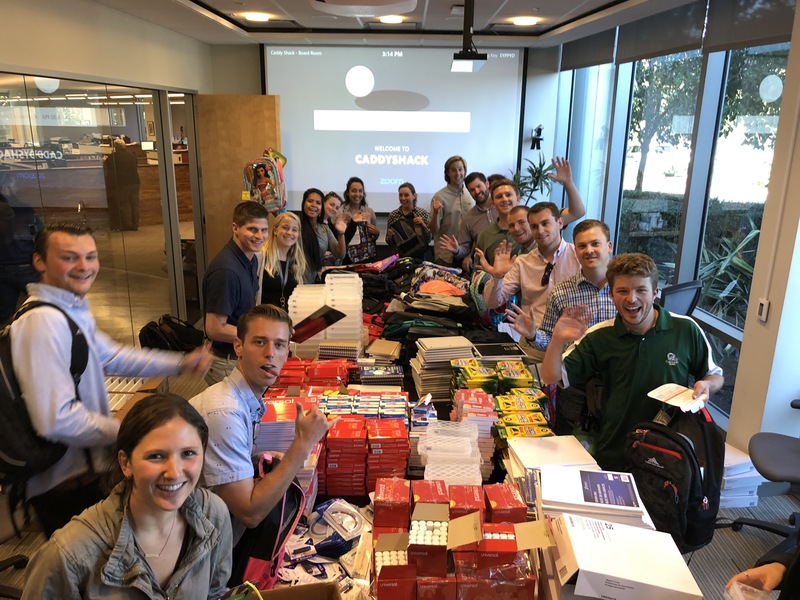 Family Giving Tree collects backpacks and supplies for low-income children to support science, technology, engineering, arts and math (STEAM) education in local schools. Did you know: One out of every four Bay Area children now lives below the poverty line? By the 3rd grade, these students are, on average, already two years behind their peers in reading and math. At retail, a backpack with school and STEAM-based supplies can range from $35 (Elementary) to $70 (High School) dollars. For those living under the federal poverty line, often there are no funds left over for books and school supplies – even the basics of pencils and paper. When these supplies are not available in the home, homework often goes undone. The Family Giving Tree’s annual Back-to-School drive was launched in 1995 with the goal of closing the educational gap for in-need K-12 students. New backpacks full of essential, grade-appropriate school supplies are collected and delivered to Bay Area students. In 2017 alone, 40,546 backpacks were distributed through 325 partner schools and agencies. However, this generous donation figure represents only about 10% of the total need. This year Truebeck team members donated 182 backpacks full of school supplies! We appreciate all of our Team for Tomorrow volunteers who donated a backpack and helped out with the charity event. Thank you for helping us bring joy and learning to those in need.